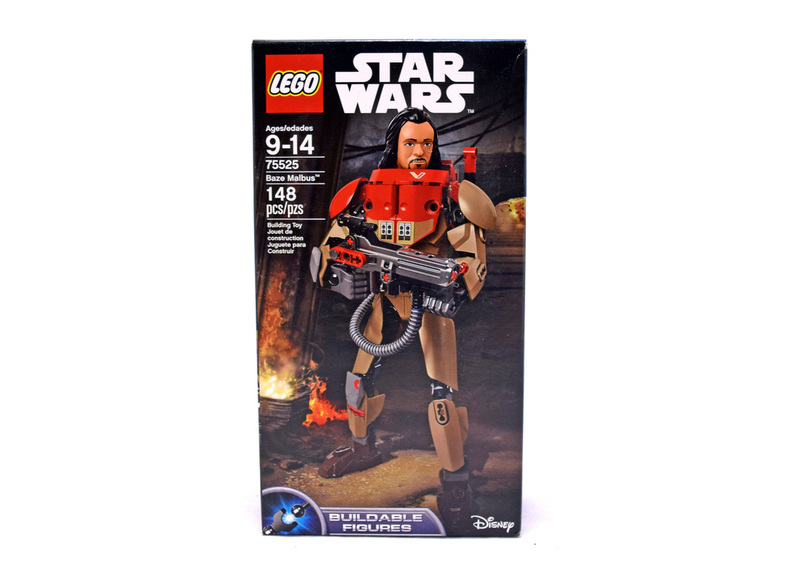 Clash with the Imperial forces with buildable and highly posable Baze Malbus with red chest and shoulder armor, heavy cannon with spring-loaded shooter, spare ammo and ‘power’ canister. Join the battle against the Empire with skilled warrior Baze Malbus. Featuring red chest and shoulder armor, plus a heavy cannon with spring-loaded shooter, spare ammo and back-mounted ‘power’ canister, this sturdy and durable LEGO® Star Wars figure is great for recreating action-packed scenes from the blockbuster movie, Star Wars: Rogue One. Set comes with 148 pieces.